King Edward VII Hospital, Midhurst, West Sussex, England. 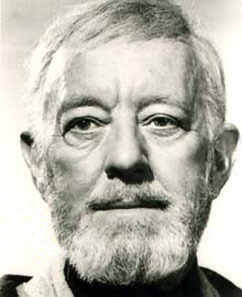 See "Sir Alec Guinness was bisexual", BBC News, 16 April 2001, citing three separate biographies coming to that conclusion, including his authorized biography. Also see John Ezard, The Guardian, 16 April 2001, "Sir Alec Guinness had a homosexual side which remained publicly unknown in his lifetime because of the flair for evasion and secrecy which was also his trademark as an actor." Both stories cite a 1946 arrest and conviction for committing a homosexual act in a public restroom. Hollywood Walk of Fame 1551 Vine St.